A question is often asked: How do we get teams or individuals who are highly competent in their area of expertise to perform better as individuals or teams in the workplace. They have the technical or professional skills, but lack the ability to instruct those junior to them, to report effectively to their supervisor and to generally understand how their behaviours are seen. Professionalism is often lacking, as is the ability to build meaningful relationships. This course serves to empower individuals, enhance team performance and adds value to the culture of the organisation. Seven years ago, to suit the needs of a specific company quoted on the Johannesburg Stock Exchange, a ‘communication skills’ programme covering twelve four-hour sessions was developed. Assignments applied in the workplace between sessions are an integral part of the course. The phenomenall success of this programme has enabled us to present the same course for that company thirteen times and for another company three times. The participants have ranged from young ‘professionals’ to ‘post –matric’ students. So the benefits are considered enormous by our clients and this programme is a proven success. Incorporated in this programme are our ‘How to get your point across’, ‘Effective Delegation, How to Give Instructions and How to be Assertive’ workshops. In addition, values (corporate and individual) are studied and a Code of Professionalism developed. Through developing their presentation skills, participants gain confidence and their standard of communication within the workplace is lifted. This programme answers the question: ‘How do we combine integral coaching and mentoring or training in a way that doesn’t blur the boundaries’? Or it could be ‘How do we use integral coaching and training together in one programme to multiply our results? Thus, we developed a new course that did exactly that. Each participant attends six three-hour group sessions held at weekly intervals and although these are essentially training, coaching principles are woven through the course. Between sessions, individuals engage with self-observations, practices, exercise, reflections and journaling, just as they would if being privately coached. And each individual engages in two private coaching sessions. Qualified integral coaches are able to help individuals turn their ‘stumbling blocks’ into ‘stepping stones’. And most of the one-on-one coaching programmes we run are six-months in duration. A few clients had completed a six-month programme and had shifted their ‘way of being’ significantly. In some cases, there were new issues to be addressed and they had a short break and then engaged in another six-month programme. In the last year since the inception of this course, it has been held four times. And those who have participated often enrol for another course – because they have gained so much from the course! The content covers a wide range of topics – building positive relationships, quality conversation and aligning corporate and personal branding are a few examples. Using cognitive and creative skills together is also part of the programme. Although the first four programmes have been held for the ‘public’ it would be ideal as an ‘in house’ programme, too. Individuals would still each have their two coaching sessions and also attend the six three-hour group sessions. How do we improve the way that members of our team work together? 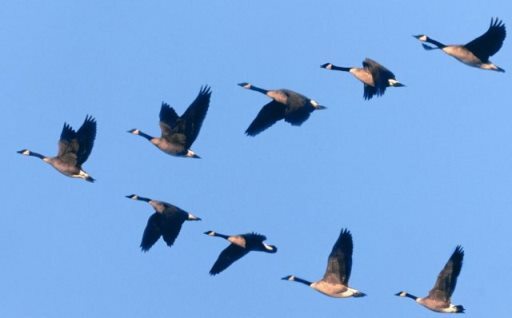 How do leaders help them to ‘fly in formation’? We need to create a culture of working together for mutual benefit, yet achieve the business results. Helping leaders and teams to “fly in formation” is the purpose of this programme. Three four-hour workshops are held with the leadership, management or other teams. The number of participants is not limited and some groups have been up to 25 participants. Between sessions certain principles are applied by all participants and they report back at the next session. Topics included may be Team Morale, Code of Professionalism, conversation skills (to build relationships). The importance of conversations for relationship, possibility and action is stressed and these are practised. The development of a ‘Team Constitution’ is also sometimes part of the programme. Very important is ‘in depth’ exploration of individual values and the behaviour stemming from the values. Perceptions also play a part here. By taking this further and looking at the corporate values and individuals’ interpretation of behavioural indicators, we are able to see congruence and identify areas to be worked on. The same applies with the survey to Measure Team Morale. The results are used as a basis for building an internal programme to enhance the way in which people work together. Some of our participants’ greatest successes have been with the leadership and management teams of an accounting firm, private hospital and Chamber of Business.